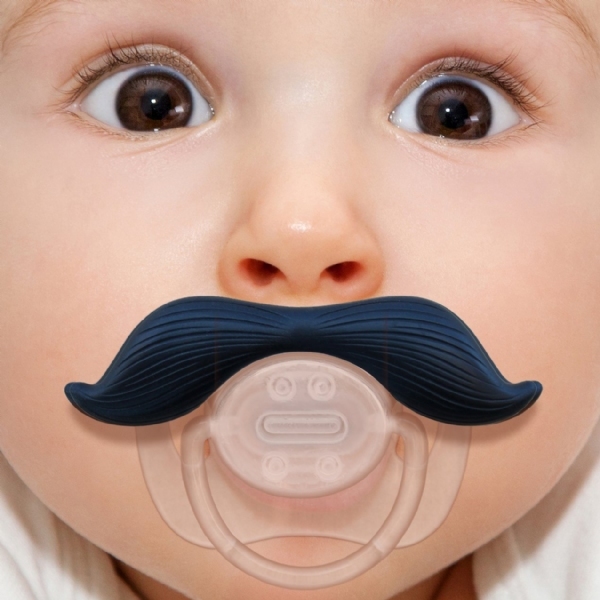 Take your baby from ordinary to awesome with this clever mustache pacifier. Make your baby the coolest kid on the block with this Mustache Pacifier! Ordinary pacifiers only help stop babies from crying - but with the Mustache Pacifier, your baby can stop crying and look awesome doing it. Made from BPA and PVC free silicone rubber, it&apos;s basically just an ordinary pacifier - but with a mustache! Makes a great gift! My GREAT newborn nephews...can&apos;t wait to see them with their mustache!!! !